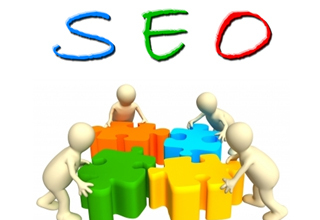 SEO tips, webmasters are interested in this one very common term. Thousands of systems, ebooks and study materials contain effective SEO tips (according to the owners). But there is nothing which can be considered as a bible of SEO. Rather the webmasters are confused if there is something real known as SEO or not. Apart from all these materials, internet itself can help you with millions of resources in trillions of pages. So, you have to know up to the level- not everything. You have to find out the real resource that can help your site ride to the top, simple. Here I come with a few SEO tips, rather I will call it SEO tricks. These are simple, easy to implement and come with better result. Number 1, you have to think about the titles of your posts. Things in the header play a major role in getting organic visitors. You will find your posts ranking high in the search engines if you tweak the titles a bit and make it keyword friendly. This is the first phase seo for a webmaster. I have seen several times, a webmaster often gets allured to a good title without paying proper attention to the keywords in it. To get better result, cross check your article title and find out if it works better or not. While you are working with a website, you need to consider the headers. The search engines considering the headers always judge the websites. If you italicize or bold the headers, they will get the best value out of it. When you bold the headers, they are considered as H1 tags. The bigger sized letters are considered as H2 tags and things go like this. This is called formatting of the articles. You can find out the leading blogs using these tricks. If you can make the search engines consider your posts and rank them high, you can definitely find your blogs found in the search results. Go get some links to better exposure. If you are worried about the exposure level of your site, you should think about the best possible way to make people read the write ups. The best way has always been interlinking and inbound links to your posts. They can almost instantly get you good amount of visitors. If you can get quality links to your site or posts, you can get a kick start. Don’t try to play over smart, this can ruin you as search engines never consider the websites that practice mass link stuffing. So, stay under the radar and keep your backlink building continued. There might be a few thousands other ideas or, concepts that can help you build traffic, but the truth is very simple- you must learn and implement the basic concepts. If you have the concept, you can definitely move on and practice some advanced techniques as well. You have to know, websites are completely a business model which is run online. Your professional conduct can only lead you to success.